Don’t get hung up on unwanted fasteners—take them out or camouflage them with the easy methods here. Drywall anchors certainly come in handy when you want to safely hang something heavy on a hollow wall or a spot without studs. Drill a hole to insert an anchor, and its firm grip to the drywall enables you to put in a screw for shelves, a large mirror, or a piece of artwork. It’s all good—until you decide to take out drywall anchors to paint the room or relocate that enormous family portrait. Fortunately, it’s relatively simple to remove drywall anchors. The first move is to remove any screws to access the anchor, and then proceed with a method best suited to the particular type of fastener. 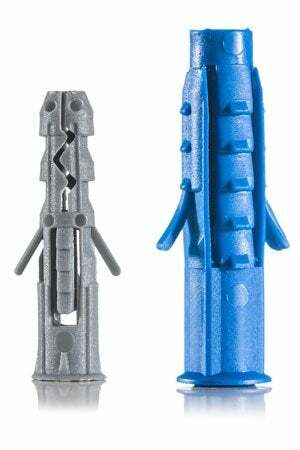 Threaded plastic, cone-shaped, or expanding anchors can often be easily pulled out, while T-nut head varieties may need to be pushed through the wall or removed with a cutting wheel. This guide covers the top techniques for how to remove drywall anchors—even a savvy (sneaky!) alternative to removal—plus the best way to patch things up afterwards. So, anchors away…or not! Grab the collar or head of the drywall anchor firmly with needle-nose pliers. With a gentle back-and-forth rocking motion, wiggle the anchor free. If it won’t give and remains secure, stop, or you risk excessive damage to the wall. Move on to Method 2. Choose a screwdriver that will fit snuggly into the mouth of the anchor and tap it into place with a hammer. Turn the screwdriver counter-clockwise to back the drywall anchor out. If it won’t budge, or turns but doesn’t back out, proceed to Method 3 (if you have a cutting wheel) or consider Method 4 to sink the anchor into the wall. Don protective goggles and attach a 1-inch cutting wheel to a drill. Cut the top off the drywall anchor. Then tap a wide nail against the anchor mouth with a hammer until the drywall anchor falls back behind the wall. Score the drywall around the anchor head with the cutting wheel or, if you don’t have a drill with a cutting wheel, a utility knife. Then place a screwdriver with a head wider than the anchor’s mouth, but not wider than the drywall anchor itself, and firmly tap the screwdriver until the anchor falls out behind the back of the wall. 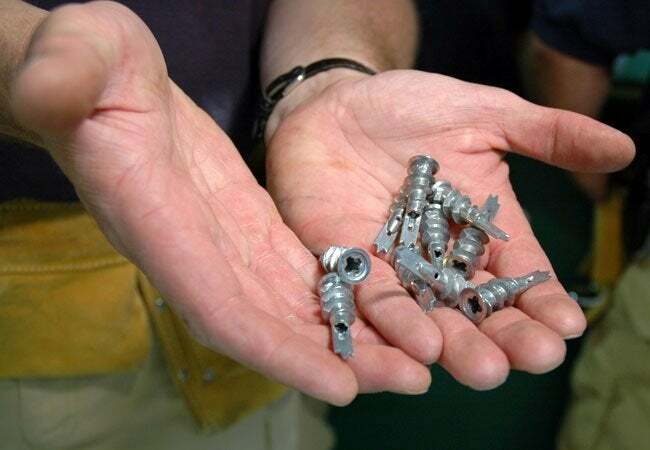 Perhaps the simplest way to deal with multiple unwanted drywall anchors, or those in drywall that’s brittle or water damaged, is to recess rather than remove them altogether. Score the drywall around the anchor head with a utility knife. Position a screwdriver wider than the anchor mouth over the anchor head, and squarely but lightly tap the screwdriver with a hammer until you sink the drywall anchor partway into the drywall. Once the anchor is recessed, patch. After you’ve mastered how to remove drywall anchors or recessed the smattering of fasteners out of sight, patch the remaining hole with drywall compound. Tap a hammer lightly around the edges of the hole until the edges are flat, flush with the wall. Wipe the wall free of drywall dust with a dry rag. Apply enough drywall compound to fill the hole with a putty spatula. Do an “X” motion over the repair spot with the spatula to get the putty flush with the wall while removing excess. Let dry overnight. Sand the dried putty with medium-grit sandpaper. Wipe dust off with a dry cloth and touch up the paint.